Many congratulations to all those who took part in the tandem skydiving record day. We did it and in fact made a staggering 403 tandems in 1 day! 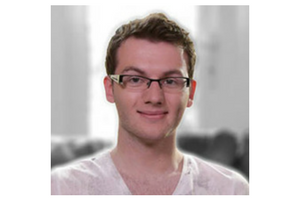 Stephen Sutton was diagnosed with cancer at the age of 15. On 7 January 2013, shortly after finding out his disease was incurable, he set up a website called Stephen’s Story. Here he outlined a bucket list of 46 things he wanted to achieve in the time he had left. Number 2 on the list was to skydive. He went on to skydive twice and last year persuaded a large group of others to do it with him. Number 34 was to “Get my name into the Guinness World Book of Records somehow”. Stephen died on May 14, 2014. In the weeks and months leading to his death, he was determined that this world record attempt should go ahead and had begun to recruit people to take part in a jump organised with Skydive Hibaldstow. We and the Teenage Cancer Trust are proud to be taking this event forward in Stephen’s memory to fulfil his ambition. Inspired by Stephen and at the request of his family, Teenage Cancer Trust is organising a huge world-record breaking skydiving event, called Skydive for Stephen. Skydive for Stephen involves recruiting at least 400 people to jump 10,000ft out of a plane in aid of Teenage Cancer Trust. Stephen applied to Guinness World Records for the ‘Most tandem parachute jumps in 24 hours’ and we aim to break this record, which currently stands at 281 people. Teenage Cancer Trust needs at least 400 people to jump 10,000 feet on Friday 10 July 2015 at Hibaldstow Airfield and everyone is welcome, so please spread the word. If you’ve always wanted to skydive, now’s your chance. Tandem skydiving provides the experience of a lifetime; it takes just 20 minutes to be briefed for your course and then you’ll find yourself at the open doorway of a plane flying at 10,000 feet. Harnessed to the front of a fully BPA qualified Tandem Parachuting Instructor, you’ll experience the indescribable rush and thrill of a 120mph freefall. Please find out more about tandem skydives and check what weight, age, and medical restrictions may prevent some individuals from jumping.